Yotam Cohen and his co founder Zohar Dayan got tired of reading online news every morning. After joining the Zell Program for Entrepreneurship they decided to build a product which will turn text into video so that we will be able to watch the content we care about instead of reading it. Sounds impossible? Maybe. But they are already doing it. 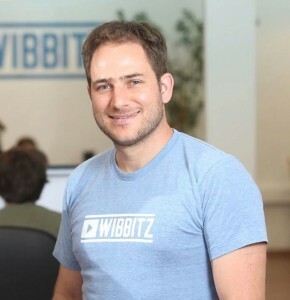 I talked to Yotam about raising funds for this venture, his management style as an ex naval officer and also found out, how they came up with the name Wibbitz. Check it out. IDAN: Hello Yotam. Welcome to the Camel!! YOTAM: Hi. It’s great to be here. IDAN: Nice to have you here. Before we start I am going to talk to you about how we are going to do this interview. So, the first part is going to be all about you, your journey to entrepreneurship, building your company, getting some tips and tricks about entrepreneurship. The second part is going to be the “Camel Race.” We are going to ask you few quick questions; and you will try to provide short but inspiring answers. 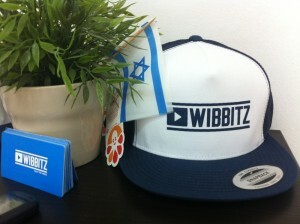 IDAN: Wibbitz? How did you come up with this name? YOTAM: It’s a funny story. So when we started the company we named the company Web Bitz. Like bits from the web that was the idea. And then we wanted to buy the domain but then of course somebody already bought it like every other domain today. We contacted him and said we will buy the domain from you. He said ok it will be 800 dollars. We were students then and we didn’t have 800 dollars to pay for it. So then we decided maybe we can change the “e” to “I”. Wibbitz, oh yeah it sounds good. So, from now on it will be Wibbitz. Let’s stick to that. IDAN: Okay. Excellent. Please tell us something about Wibbitz. What do you guys do and a little background of the company? IDAN: Sounds Awesome. Maybe you can tell us a little bit on how this idea was born? YOTAM: So the idea was born from a personal need. The best way to start your own company is to solve your own problem. We both were students at IDC and as students we were needed to read a lot of text. We asked ourselves why we can’t just have play button wherein we click play and get all the news brought to me. So it started from a personal need. We then went to the market and saw there is a huge need for videos. We saw there is not a good way to produce video at scale. We started with a very minimal viable product which was just taking headlines from the articles and creating newscast with just music. We enabled blogs to embed this widget on their site. From there we grew to what we are actually today. We have a very successful and sophisticated software that understands texts, analysis text, understands what it’s talking about, the category and what’s going on within the within the text. YOTAM: So, as I said before, when you start a company from your own need then probably you will have passion for that specific idea which something you really need to have in the journey of starting your own company. I think that is very important to do something that interests you, which you have passion for. The journey is hard enough, so if you do something you are passionate about it will make things much easier and you will be much more optimistic throughout the way, which is very important for an entrepreneur. In terms of the Zell program I think it’s an amazing program. 20 students get accepted out of 500 applicants to the program. The last year is split into groups and each group has their own venture. All the studies you have in the last year are put towards your own company. For example, if you have a finance class, you build a revenue model for the company. That’s about the program itself. I think one of the great things we had is that I didn’t feel like a student any more. We were adults. IDAN: You felt like an entrepreneur. YOTAM: Yeah. I felt like I am already out there and building my own company. All the time it is very important to go out and talk to your customers, get feedback as fast as you can, build something very fast to get the feedback and work up from there. IDAN:Let’s start from the beginning. You had the idea, what was the first step you did as an entrepreneur. YOTAM: I think if you have an idea, just Google it first. See if other companies are doing something like that. If you see the other company is doing that it doesn’t mean you cannot go on with that idea, you can do a lot of differentiation. You can also do the same and succeed. IDAN: Second but a lot better. YOTAM: Definitely. A lot of companies are doing that. Something which really helps entrepreneurs is try to write your idea on one page with all aspects, the executive summary like what is the idea, what is the need you are serving, how do you see yourself executing the idea, go through market strategy, who are the competitors, how you are different from them, what is your revenue model, what is your vision for the company? Just write it down on one paper. It will help you to better understand your idea. Because sometimes it’s in your head but you cannot actually build a structure. Another very good tip we got from Zell is you need to have a very good sharp one liner. The one liner helps you to focus. IDAN: What was your one liner? IDAN: So talking about co-founders. Maybe can you tell us in few words what were you looking for in a co-founder? YOTAM: It was a bit different for us because we all were a part of the program and we had one week to decide and start a company. But this is how it goes in the program. I met Zohar there and we didn’t know each other from before. I think one of the great things is we have different skill sets so we thought it is very good for a start up but also creates a lot of different approaches. IDAN: How do you complement each other? YOTAM: Zohar is more on the tech side, design, product while I am more into leadership and management that I brought from the army, structured. IDAN: Can you tell us a little bit about what you did in the army? What was your background? YOTAM: I was 6 years in the army. I was a naval officer, and I’m still in the reserves. I was a commander on the battleship in the Gaza Strip . So a lot of things are very similar from what I did to what I do today. It’s a team; it’s very interesting to work together. A lot of missions need to be accomplished. A lot of things I learned from the army in terms of leadership and management which I brought here. In terms of co-founders, I think it’s like marriage. It’s not far from that. I spend more time with Zohar than with my wife. IDAN: I have definitely heard this analogy before. YOTAM: I think it’s totally the same. It is very important to have someone who, on one hand completes you, but yet understands the agenda of the company. You need to work on that. IDAN: So, you had the idea and the co-founder. When did you start looking for a team? Was it a part of the Zell Program or was it later you started looking for a team? So we went back and tried to get traction. We sent hundreds of emails to bloggers asking them to try it out and to give us feedback. We even had blogs from Sweden, which was really weird, but they actually tried it out. YOTAM: We were like, okay. So we started to speak really slowly. We started to refresh the page all the time. This is a true story. By the time the meeting ended, we had 135 signups and he was the first investor in the company, then we managed to bring in 3 more investors. We closed the first round around $450 thousand. It was led by Lool Ventures and Initial Capital by Chema Ventures. YOTAM: Micro VC’s. One of the things we did in the beginning is we went to all the big VC’s which was too early but it helped us a lot. One tips I can give is that you are not going there to get funded; you are going there to get feedback. YOTAM: When you think like that, the meeting changes. The way that the meeting is held is also different…same with your customers. It was a stressful time where we both were working part time & we left our jobs two months before someone agreed to invest in our company. We were working in coffee places for 8 hours having one coffee because we couldn’t manage to buy something else. IDAN: How long did it take from the time you started searching for an investment until you actually got an investment? YOTAM: We met investors for about a year. But if you plan on doing a round it’s around 6 months to close a round. IDAN: How many investors did you meet during that time? YOTAM: A lot. I’d say around 50 investors. We met anyone who agreed to meet us not only investors. Not only investors, we were actually meeting with everyone who agreed to meet with us. IDAN: How did you get to those investors? YOTAM: Through contacts that we had, approaching them, sending emails. IDAN: Let’s talk about the product market fit. What were the first steps that you saw which put the company in the right direction and was it right? YOTAM: We to the investors and told them we want to turn text into videos. So they started to laugh on who can take any text articles and turn it into videos without mistakes, without weird things coming up. But we really believed in it, so we started to build a very MVP product and built it up from there. But I think in terms of product market fit, we did it but we should have done it more. We are doing it much more today. When you start a company this is the most important thing you should focus on. Everything should be focused on getting to the product market fit, working closely with your customers, getting their feedback, doing experiments and finding the product market fit. Once you find it, I can guarantee 50% of the startups in Tel Aviv didn’t find it, including us. But after you do find it, you will see that the company will blow up. IDAN: What is your method of managing all these interactions? YOTAM: I think it’s bad if you have too many things to do but it’s not structured. You know even when you start with two people, or three people in a startup, you need to be structured to be productive. You may not need to be structured like Microsoft, which may have 10 steps for every process, but you need to know who is responsible for what, to know who needs to make certain types of decisions, how to fix a process if it’s not working, you need to have meetings. And you will see that as you grow, you need to do it more often. IDAN: How do you do it on a daily basis? Do you have a standup meeting every day? YOTAM: First, we work agile. We work in sprints of two weeks. We just changed the structure three months ago and we see a huge growth in our productivity. So it can really affect our productivity. YOTAM: So, the way I did it is, first of all, I went to 5 different startups around me. I went to see how they worked. How they managed their tasks. After that I came back and we understood the process we need to have. There are 3 verticals. One is the vertical of planning – how we plan for this sprint and next sprint. Second is how we execute this sprint. Work from what day to what they are working, what is the stage of uploading, the QA environment, the next day is releasing the product and the QA process. We went out and actually built how we should we work like that. And then we found the tool to work. This is something which people do in the opposite direction. First they find a tool and then they adopt according to the tool. This is not the way to do it. You need to understand what is the way you want to work and then find something that will help you do it. IDAN: Which tool are you using? YOTAM: We are using Jira. I can recommend it but you need to understand what you need to do and then do that. There are advantages and disadvantages to every tool you work with. But the structure is more important than the tool, the structure and the meetings that you have, high level meeting to plan the sprint and then another meeting to break down the tasks and another meeting kickoff to plan the next sprint and then on the last day, and I really recommend you to do it, is you give the task to the developers and they break it into small tasks. They evaluate on their own how much time it is going to take and they have commitment for those tasks. Only then you start a sprint with everything organized according to the priority. At the end you need to find what will take less time to create most impact on your product or business. Very important is what I see in lot of startups is don’t disturb the sprint. As founder, you see something wrong, you go to the developer, tell him to fix that. You cannot do that. You’re in the middle of the sprint. If you want to be productive for the next 6 months don’t disturb the sprint. Sometimes I even tell my customers what will be in the next sprint. We will fix that but we will do it in the next sprint. I am also very transparent with our team about our situation, problems in the company. I really let them to say anything what they want. So we have a great conversation at every beginning of sprint we have great ideas. They should feel a part of the team and not just doing their own job. I tell them these are the problems we now have in the company and this is what we are facing. If you have ideas on how we should solve this problem then just say. So a lot of things come from that specific meeting. So it’s the same thing as having the numbers for all to see. I think its transparency and creating this feeling in the team that we are here working together not just doing your job that I told you to do. It’s very important to manage the culture you have in the company. It’s something you need to manage. It’s not something that just happens, if it just happens, it won’t last long. It’s something you need to think a lot, what culture, what important things you need to have in the culture. It shouldn’t be ten things. It should be three things that are important to you and to see that they are happening. The second thing I wanted to say at the end of the sprint we go back and see what we did accomplish and what we didn’t accomplish and we try to learn from that. It’s a learning curve all the time you need to learn and improve. IDAN: I wanted to ask you one last question before we move on to the next part of the interview. What is your vision for Wibbitz for the next 5 years? YOTAM: In terms of our product in what we are doing, we have a big vision for the company which will be to be the play button for the web. So that no matter where you are, what device you are using, you are able to click through you will be able to click through and watch any text brought to live. In terms of the company, my dream is to build a billion dollar company. We are building a team like that, we are expanding. I think we have big ideas and vision to create a billion dollar company and this is where we are heading. IDAN: Are you guys hiring? IDAN: So how should they send their resumes to you? IDAN: Okay, I think it’s time for the second part of the interview. The camel race. IDAN: So I am going to ask you few quick questions, you are going to give short but inspiring answers. YOTAM: Trello. I think it’s a great tool to manage your tasks and processes. It’s very flexible if you want to create a process in the company. If you just want to create a task list you can do it there. IDAN: Okay. Awesome. What is the best tip you have ever received before a presentation? YOTAM: Tell the story to each person in the room. This is something which we worked in Zell. Looking in the eye of the person sitting in the crowd and telling the story and then moving one to a different and telling the next sentence will make your presentation look totally different. Better. IDAN: Okay. Do you have a role model? YOTAM: I think companies that are in our field like Taboola and Outbrain are role models. It’s in the same field and is now a billion dollar company and it’s the same dream we are following. IDAN: Yeah. 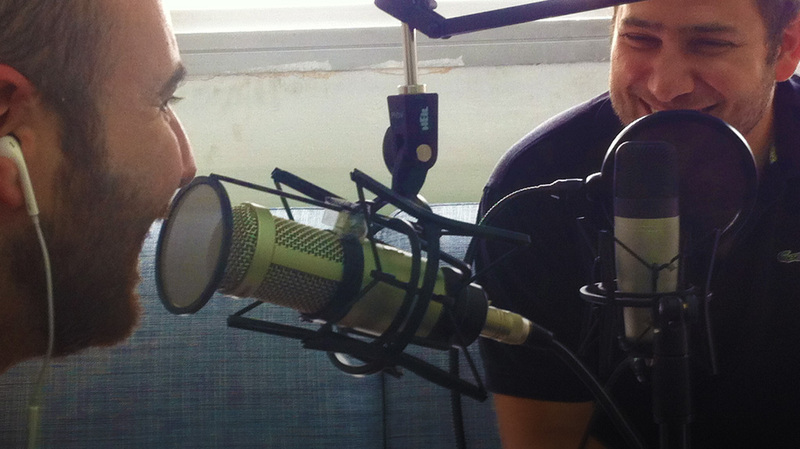 We had Ori Lahav from Outbrain on our show. Are you a reader and if so what is your favorite book? YOTAM: I am a reader. I read books in Hebrew, usually. But I think in terms of entrepreneurship, “The Lean Startup” is something everybody should read. IDAN: Right, Eric Reiss who wrote “The Lean Startup.” What would be your advice to aspiring entrepreneurs? YOTAM: Getting things done. Just go out and do it. Your idea is 1% and 99% is execution. Just go out and do it. Don’t think about it too much. IDAN: Okay. Excellent!! 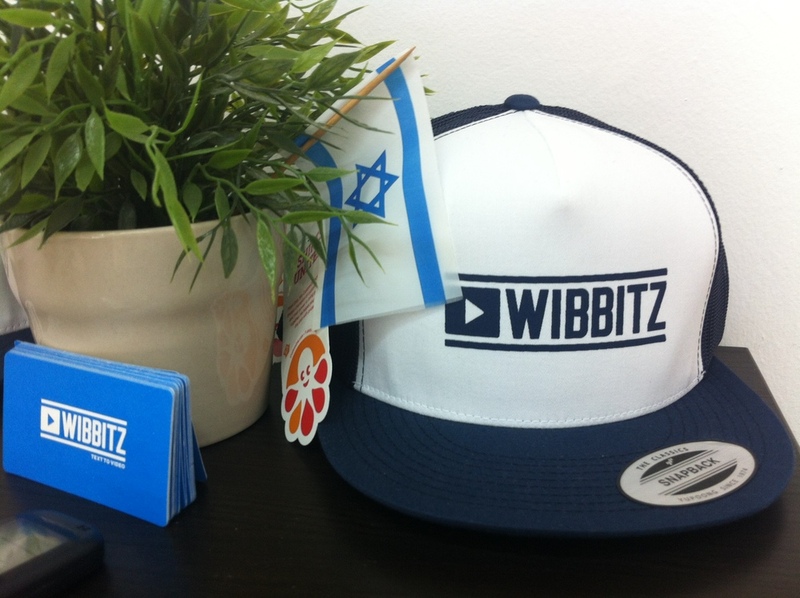 Which companies in the Israeli startup scene would you recommend us to pay special attention to? YOTAM: Everybody knows Meerkat now with all the hype that’s going. YOTAM: That will definitely be something like the next Instagram or something like that. Other companies that I really like, there are lot of great startup here. I don’t want to choose one but there are many. IDAN: What do you do for fun after switching off? IDAN: Okay, I want to thank you Yotam for joining us today and it was a great interview. Please tell our listeners how should they should reach you and then we will say good bye. Yotam and about startup please check our website at startupcamel.com. You can also follow us on Facebook, Twitter, and LinkedIn and on the internet. So just check it out. Till next week, I am Idan Hershko signing up. Goodbye!! Wibbitz’s co-founder, Yotam Cohen, is a man of of many talents, yet he considers his main specialty to be “getting things done”. This “actions over words” attitude helped him make the jump from an IDF battleship commander to managing one of Israel’s most promising startups. Like many other prominent Israeli entrepreneurs, Cohen’s startup journey started at the Zell entrepreneurship program at the IDC institution. Being a student required a lot of reading, so he wished for way to turn all that tiresome text into video. Well, some people wish while others make their wish happen, because shortly after Cohen was taking action and pitching that idea to his mentors in the Zell program. Six years later, Wibbitz is revolutionizing the way content sites across the glove work. Now that’s what we call “getting things done”. What made huge content sites like Forbes, Daily Mirror and Telegraph want to work with an Israeli startup? Apparently it’s because a video is worth a lot more than 1,000 words. According to leading research firm ComScore, visitors who view videos on websites stay an average of 2 minutes longer than those who don’t view videos. Knowing that, it comes as no surprise that content sites try to attach a video to as many articles as they can these days, but not all of them have the time, budget, or skills to do so. Enter Wibbitz, an amazing solution that sounds like it’s straight out of sci-fi: An algorithm that transforms any text into a high quality video in minutes. How does it work? The stratup’s tech analyses text and turns it into a script from a combination of licensed videos and materials from the relevant site. In the last stage, the publisher only needs to choose between an instant automated voiceover for the video, or a professionally narrated one in under 10 minutes. Looking at Wibbitz’s aforementioned impressive list of publishers is enough to say: video didn’t just kill the radio star, it also revived the content one.